In a large bowl, combine the sugar, egg white, and lemon juice. With a wooden spoon, mix the ingredients together until the icing is thickened and smooth, about 2 minutes. The icing will keep up to 2 days in an airtight container in the refrigerator. Before using, beat it with a fork. Stir in very small amounts of water if it seems too thick. 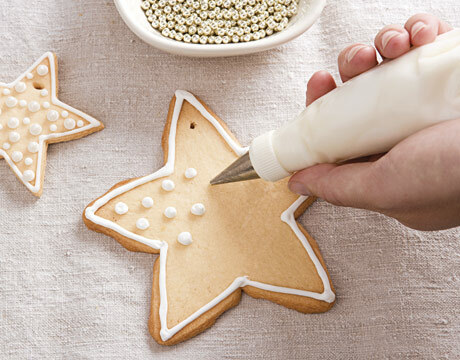 Add powder or liquid food coloring to small batches of the icing to create different colors for your cookies.